Taking the guesswork out of finding great beers! 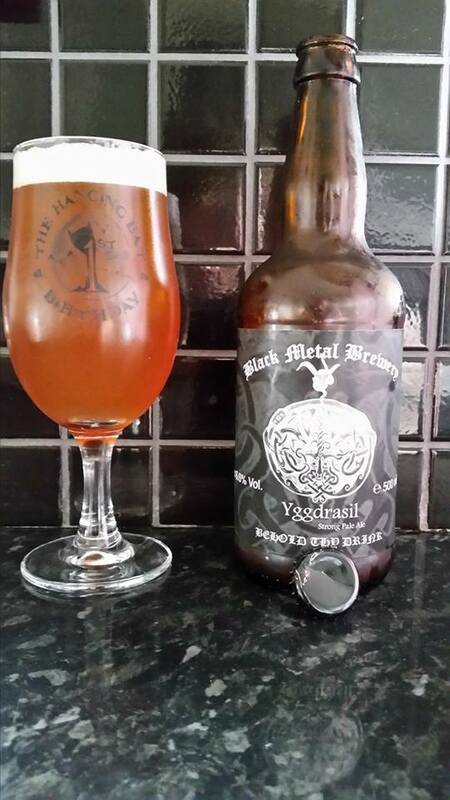 We have been following Black Metal Brewery since the very beginning, from the meet the brewer at the Cork & Cask in Edinburgh back at the start of 2014 when Jaan and his lovely assistant first bottled 2 of their beers, Yggdrasil, a 6.6% Strong pale ale and the other was Will of the wisp, a 6% (you getting the theme here?) Smoke Juniper Ale which you can check out our review here. I’ve had this beer on several occasions and never gotten around to reviewing it, since it is my favorite time of the year (Aldi’s Scottish beer festival) I thought what better time to get my beer head on. The pour is quite unlike anything I have seen before, it is alive and kicking with carbonation just waiting to escape from the bottle. It is a burnt orange colour and is most definitely unfiltered. Think rusty trolley pulled out the river, that is the colour. The smell off this beer is incredible, this beer has gone from strength to strength over the years. Orange peel, burnt toffee & caramel, pear, mango and a bit of tartness from grapefruit. Is very bitter but it is very balanced at the same time, a very difficult thing to perfect in stronger beers. You get a lot of sweetness at the start from caramel, tangerine and lemon which tails off to a piney and grassy dry end. It is a strong beer, very bitter like a DIPA but without that acidic finish. The head sticks around the whole time, Very Pleasant beer indeed! 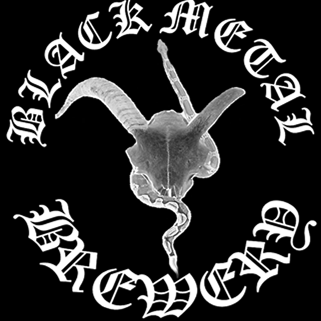 As mentioned before, we have followed Black Metal Brewery from the start and met Jaan a few times via beery events, the guy makes beers as crazy as he is himself, but only that kind of crazy can produce beers as great as this. You can tell he tweaks his beers over time and this gives him a edge over other microbreweries. At 1.99 a bottle during the Aldi beer festival, you would be stupid not to pick this up.